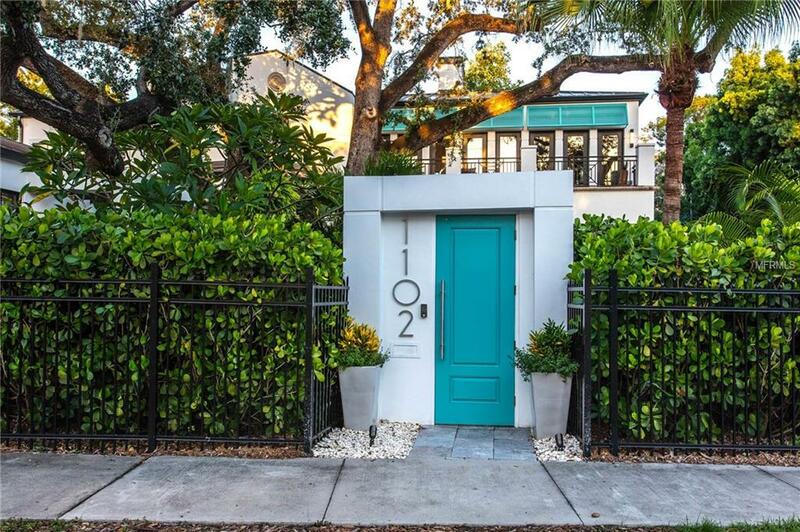 Renovated Modern South Beach in Tampa. 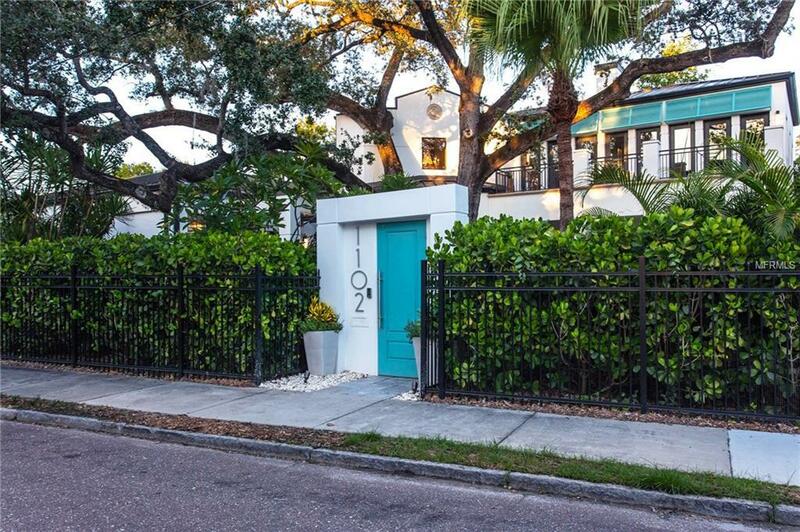 Walking distance to Hyde Park Village, one home off Bayshore. Secure mini estate. 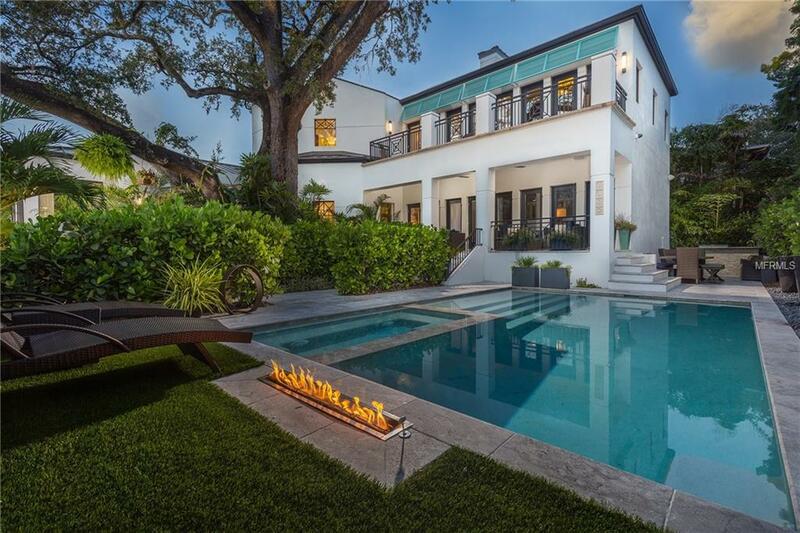 Luscious gardens, custom-designed pool with integrated spa. Two story foyer with flowing staircase. Home designed for entertaining. Interior gutted and new. Gourmet kitchen with multiple appliances. Endless features throughout the entire home. Art collectors dream. Stone-walled glass wine cellar with chrome racks. Separate man cave with huge TV and secondary TV, wall of book cases, fireplace, and large wet bar. Stone wall feature in guest washroom. Elegant, modern formal dining room separated by iron work matching wallpaper design. Main level Master Suite in private wing with marble wall backdrop. Third fireplace, 65-inch TV, and private lanai. Inviting bath full of cabinetry, swing-arm TV, free-standing soaking tub, another fireplace, substantial shower with three water features. Expansive granite vanity with double sinks, drawer outlets, and bench. Extravagant custom closet designed by "THE CLOSET FACTORY. A secondary entrance on Richardson includes a built-in office with hideaway doors, and long hallway for displaying artwork. Upstairs, four additional bedrooms, two baths. Walkway over two-story grand room, four large balconies, one bedroom includes murphy bed, while another is designed to be another study if necessary. New French doors, tank less hot-water heater, two "TRANE AC units and service company that maintains filters. Separate company provides "SENTRACON termite treatments, another conducts pest treatments. Garage and balconies are triple sealed. Lift in garage provides for third vehicle. Entire home has "CENTRON, "LUTRON, new AV equipment, cameras. No budget... just a dream for an amazing lifestyle.